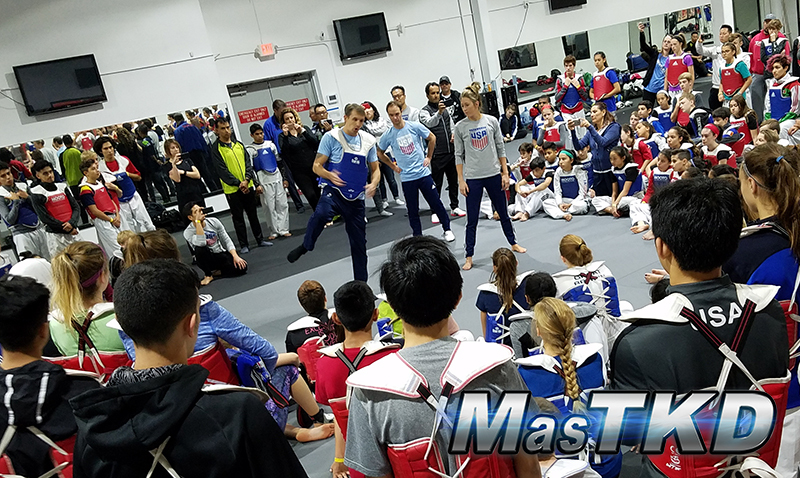 United States - 2017/11/14 - Great Britain National Team coaches Gareth Brown and Paul Green along with special guest athlete Jade Jones gather over 150 athletes in Texas. 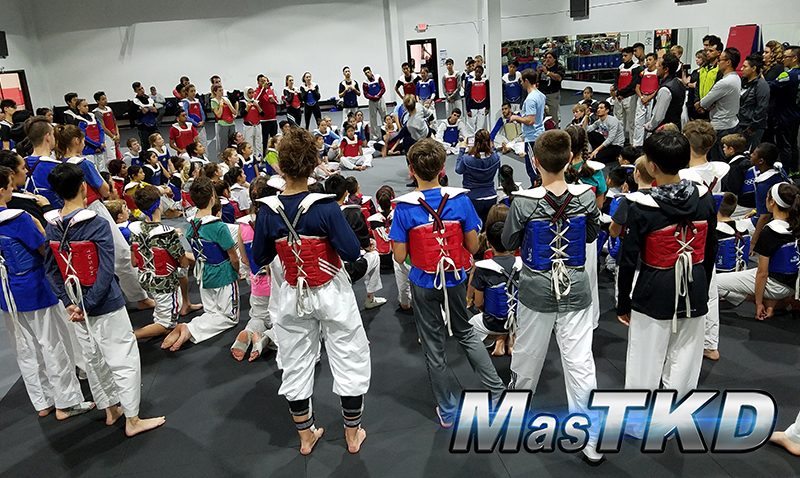 From October 27th to 29th more than 150 athletes from different parts of the United States gathered to learn from one of the best in Taekwondo today: The Great Britain (GB) national team coaches, Gareth Brown and Paul Green. In addition, the technicians were accompanied by double Olympic champion Jade Jones, who is at an exceptional level. As we know, Jones conquered the last Grand Prix Series 3, in London. Master Sang Cha, head of the National Training Academy (NTA), was the organizer of the event held in Texas. NTA opened its doors allowing more than 150 elite athletes to share the new training techniques and enjoy the great energy that the British proved to have. Among the athletes 23 were US National team members and about 35 coaches, from which at least 15 recognized US national coaches from United States and Canada. It’s no question why GB has the success they have at the top level competition; with their level of training, the techniques that they use, and the connection that they have with each one of the athletes, we are able to see the results at the podium of international events. Within 3 days the athletes participated in 6 training sessions; each session with a different purpose to take advantage of the GB coaches’ knowledge and experience. 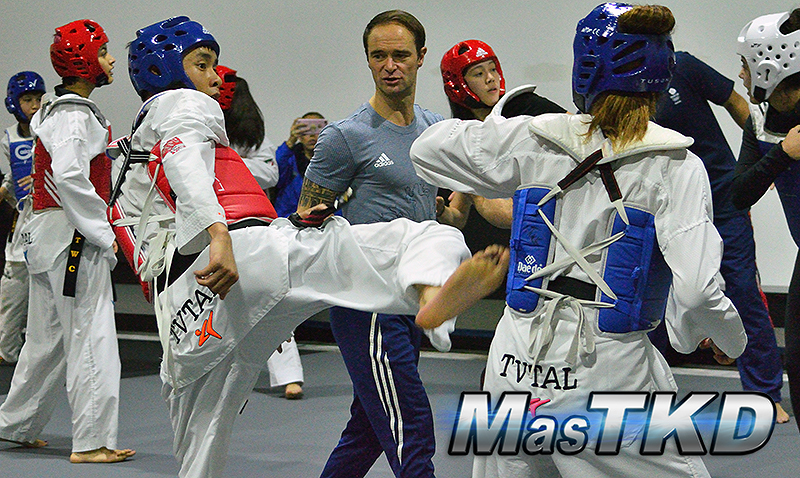 Coaches Gareth Brown and Paul Green, and special guest Jade Jones were willing to share their knowledge with US athletes and coaches with the goal to raise the competitive level of Taekwondo worldwide. It is without a doubt that everyone was enjoying each minute of this special training camp. All comments were positive; and, at the end of each session, you can see through the athletes’ sweaty faces their smiles and enjoyment, as well as on coaches and parents. The presence of GM Inseon Kim (current WT council member), some US national team members from Cadets Juniors and Seniors, and over 35 US coaches also solidified this event as successful one. Was such a great camp!